How To Prepare Your Property for the Fire Season! 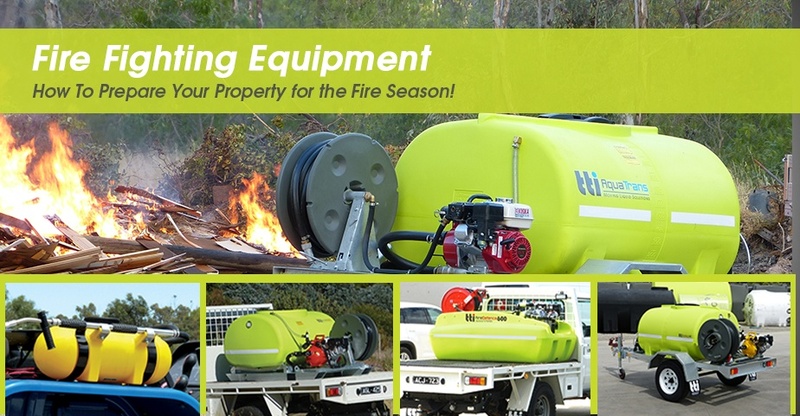 It is necessary to prepare your property in the lead up to fire season, particularly around the house and sheds. Trimming back overhanging tree branches, maintaining shrubbery, cutting grass to below 10cm, and making sure the ground is clear of loose leaves and branches is essential, as excessive amounts of loose greenery will fuel fire. Keeping gutters clear, removing flammable items (such as boxes, furniture, and doormats) from verandahs, decks, and backyards, and storing flammable liquids away from the house will increase your safety during the fire season. Knowing what you are going to do, and when you are going to do it equips you for the unexpected. There is no time to plan once the fire starts burning! Having adequate water storage and a mobile slip-on or trailed firefighting unit could help you protect your home, and extinguish smaller spot fires. Services like power, water, telephone, and internet could be disrupted during a bushfire. It is important to remember that this could leave you without the use of landlines, computers, chargers for your mobile devices, air conditioning, electric pumps, and remote control garages and gates – planning ahead for these interruptions is vital. Why not stage a ‘dummy run’ and turn your power off to make sure you are able to exit the house and your property safely? On the roads, your usual route may be closed – a knowledge of the local area and different exits from the town could make all the difference in how quickly you can leave a fire effected area. On high risk days, farmers should limit or stop using their machinery. If it is necessary to continue work, farmers should carry a fire fighting knapsack with them when out and about on machinery in the extreme heat. Make sure that fire trucks will have access to your property. Ensure that the property name or number is clearly visible, and mark all water sources on the property. Allowing space for a fire truck to enter your property, with gates of at least 3 metres wide and adequate space to turn their vehicles around, will make it easier if emergency workers need to utilise or protect your property. Let’s make sure this season is a safe and enjoyable one – and don’t forget… slip, slop, slap!